Fostering means to take care of a rescued animal temporarily. When PAWS asks if one can foster an animal, this means we are asking you to hold on to the animal temporarily (provide care, food, water, shelter) while the shelter quarantine is full. Want to help a rescued cat or dog prepare for a new home? One way you can do this is by sparing some room in your home and fostering a shelter cat or dog. The PAWS shelter, after all, does not have infinite space and it constantly needs to make some for new rescues and for the animals that need its help the most. This is also an opportunity for anyone who wants some animal companionship but may not be able to commit to a long-term ownership/guardianship of a cat or a dog. Most shelter cats and dogs have been through some painful experiences being sick or being the object of unimaginable cruelty from humans. Hence, in a lot of instances, rehabilitation through continued human companionship (of the un-cruel kind) is required to bring back the animals' trust in humanity. This will increase the chances of making their transition from a traumatic home to a loving home as smooth as possible. 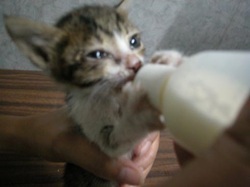 Foster homes are also sought for kittens, puppies or sick animals that need constant attention. There are over a hundred cats and dogs at the shelter at any given time; a certain percentage of which are sick or are too young to be able to survive on their own without constant loving supervision. The typical rescued or abandoned cat or dog will be underweight or sick. We need foster homes that are willing to bring them back to a good state of health to increase their chances of getting adopted. 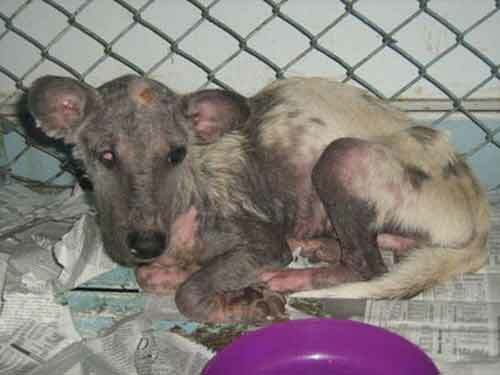 The above picture of William is perhaps one of the extreme rescue cases as far as state of health is concerned. 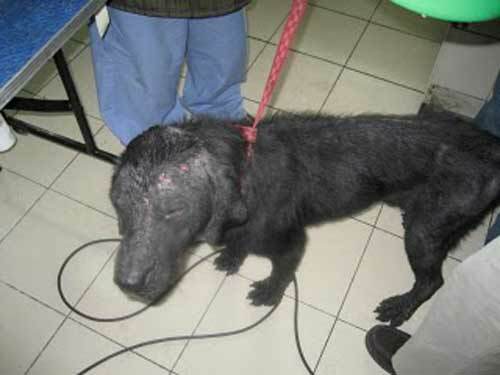 Unfortunately, finding a dog in this heart-wrenching state, out there in the streets, is not as rare as one would wish. c) in the case of kittens, puppies and sick animals, until they grow old enough or are nursed back to health enough to survive a shelter environment. No shelter will beat the care a real loving home environment can give a rescued cat or dog. What do you need to consider before fostering? • Do you have spare room in your home? 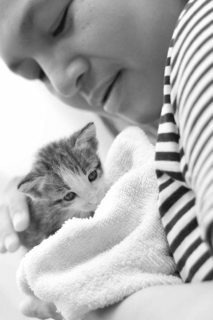 • Can you keep sick cats or dogs, kittens or puppies sheltered indoors? • Will you have time to spend interacting with your wards? • Will you be willing to administer medicines when necessary? • Will you be able to bring it to the vet when the need arises? What would it cost to foster a shelter animal? I honestly do not have a figure to give but I would say that you may need to shoulder some costs entailed in caring for pets. PAWS will certainly provide veterinary services and will provide medicines, cat food and dog food, if it has some to spare. Please remember that the organization is solely dependent on donations and money it raises at fund-raising events and that there may be occasions of cat and dog food and medicine shortages. What do you need to do to be able to start fostering? By all means get in touch with us right away! Attend a volunteer orientation or schedule a visit to the shelter to meet some of PAWS' adoption counselors. We do still need to assess your capacity as a foster parent. If you've had experience taking care of pets in the past and have a passion for it, then I doubt if we're going to have problems. And even if you're new to pet care, as long as you are eager to learn, I believe there may be a way to work things out. Many volunteers will be willing to guide you through it all. 2. Provide us with the photo of the animal (we use this as the animal's BEFORE photo). All we ask is that you treat your foster cats or dogs as if they were your own. I would also urge (not require) you to become proactive in finding forever homes for them. That, after all, is our ultimate goal, isn't it?--- To get all the homeless animals home! Note: After your foster baby gets adopted, there will always be more waiting for foster care! ** Fosterers who have signed the Foster Agreement Form (and have submitted this to PARC) will have access to vet assistance and consultations at the PAWS Clinic for their rescued animal while it is under their care. Below are photos of Rex, which fellow animal welfare advocate Alya Honasan fostered from being a bag of bones to a bag of happiness and then found a wonderful forever home for him! 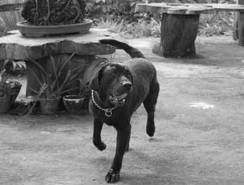 Ideally the one filing the report is expected to offer to foster but should he/she not be able to, he/she must at least find someone else willing to temporarily take care of the animal they are reporting. PAWS is full to maximum capacity with 300+ animals and only 3-4 caretakers and 1 shelter vet. PAWS is very much willing to extend checkup and medical assistance for a rescue with a signed fosterer. This is because whatever will be done by PAWS medically for the animal will be useless if no one will do follow up home care regimen and the cat or dog will just be put back in the streets. There are just way too many cases of animals in need and it does not help that there are far more people content with just reporting compared to people actually offering to step up and foster or adopt rescue animals. ... But I can't find anyone, don't know anyone who can foster! This is often the automatic response despite the concerned citizen / report not actually having made an effort YET to ask around from friends, relatives, colleagues, schoolmates or social network contacts. Know that our own foster volunteer database is also maxed out. We are always in dire need of foster volunteers because senior volunteers and staff are already fostering multiple animals. In fact, a volunteer before has had to foster 20 cats for PAWS due to lack of shelter space and manpower. Please advise ASAP once you find a fosterer and give us his/her name and contact details so he/she could come with the animal to PAWS during clinic hours Mon, Tue, Thu, Fri, Sat 1-3pm , sign the foster form, and take home the dog/cat immediately after receiving vet's instructions. Ok, I can foster... but I can't keep the dog/cat long term.